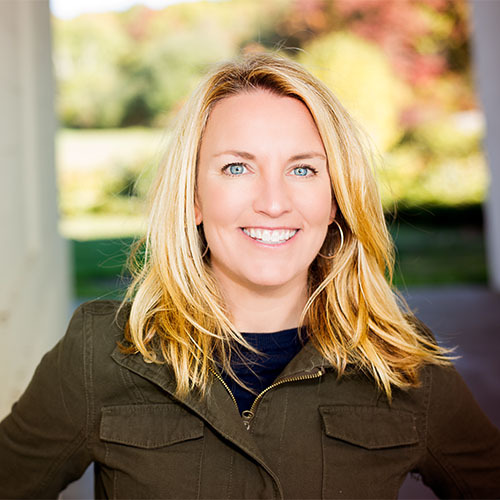 The first full year of Restoration Writer (I launched in late November 2013) has been extremely exciting and rewarding for me! Through my mistakes and triumphs, I’ve learned so much about what it takes to turn a dream into a reality. I want to thank each and every one of you for joining me on this journey. Only good things to come in 2015. 2. Using Paint to Mimic Driftwood. Inspired by a driftwood floor we installed in our master bathroom, I turned a paint brush loose on the top of a side table. 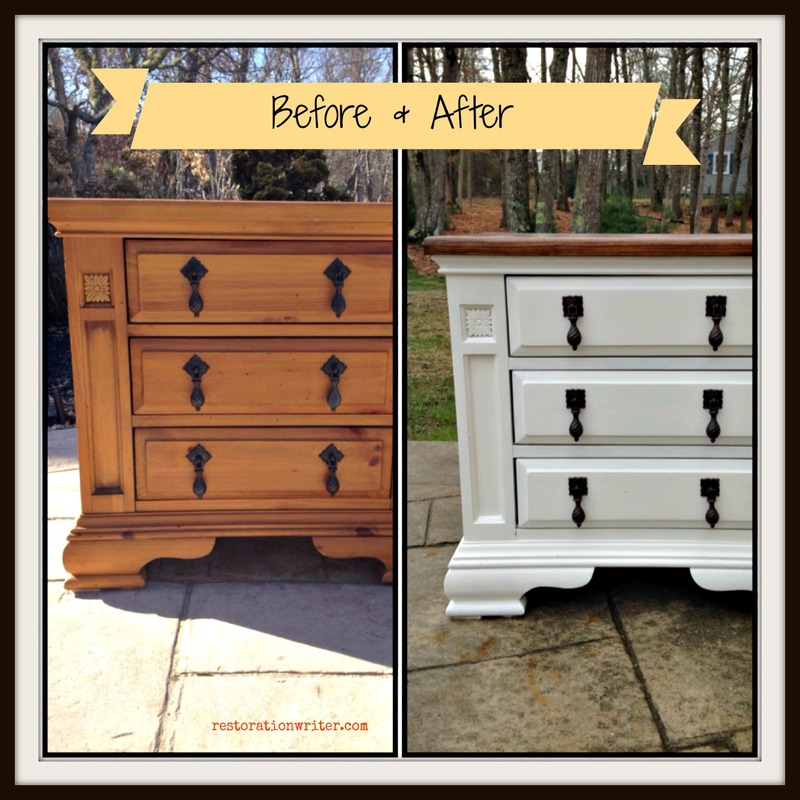 I love how the top turned out and when I look back at the before photos, I cannot believe the transformation! But my favorite part of this table ended up being the knobs my husband made out of rope. 3. How to Update an Outdated Pine Table. This project still blows my mind! The before and after of this pine end table turned bedside table is incredible. I learned so much about how to properly sand, stain, paint and seal wood furniture (all thanks to my husband!) but perhaps the most valuable lesson of all was never, ever get rid of any piece of solid wood furniture because there is always a way to update it. 4. Fall Fireplace Mantel. After all of the furniture redos I had been doing, this project was a welcome change of pace and a breath of fresh air. 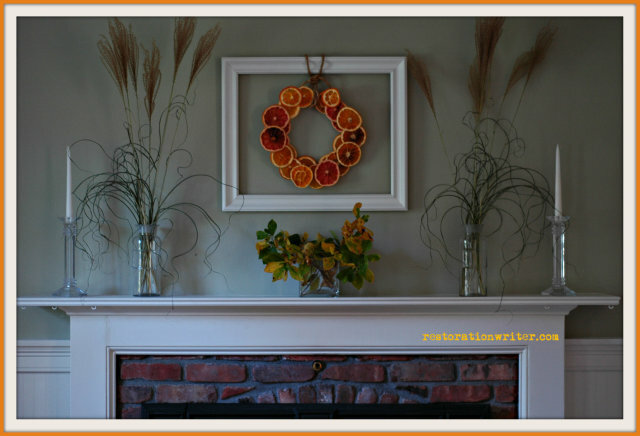 The explosion of color and texture on my mantel brought me great joy this fall as the leaves turned and the days got shorter. 5. Painted Coffee Table. 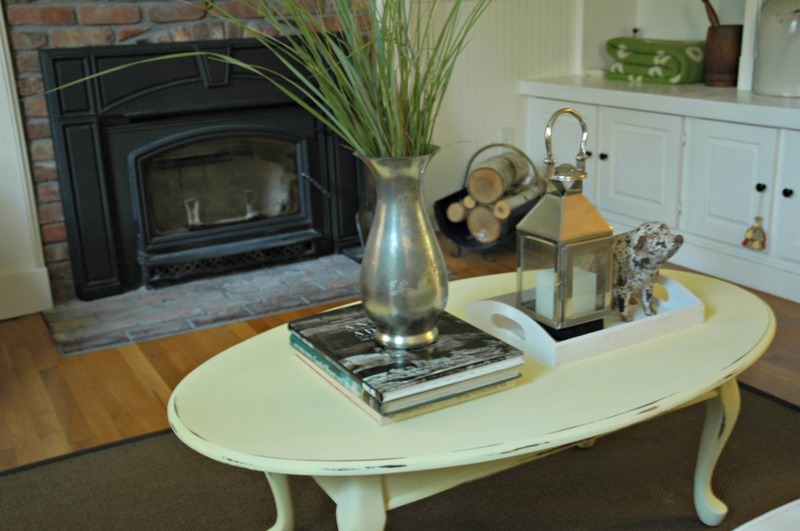 This coffee table ended up being the perfect piece to use as an experiment with my first homemade chalk paint recipe. 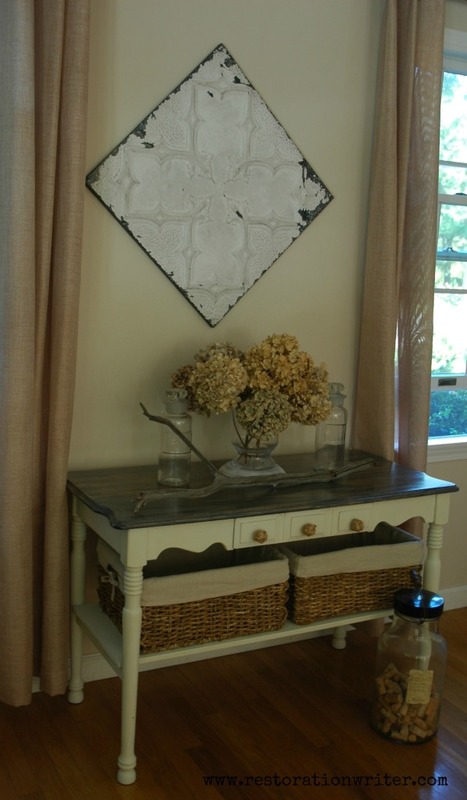 I have since changed recipes for chalk paint but am still very happy with how this piece turned out. Besides, isn’t it amazing what a little paint can do to bring out the beautiful curves and details of a piece? Wishing everyone a happy and healthy 2015. 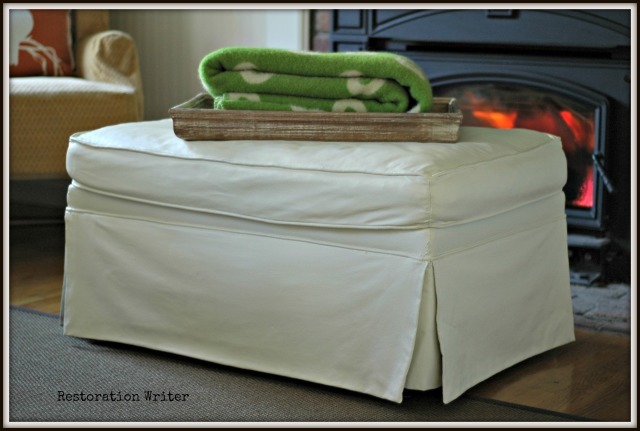 I hope you’ll visit Restoration Writer in the New Year for more inspiration and DIY projects. Cheers!